Plympton Plumbing has been providing plumbing products and solutions for over 37 years. Founded in 1980, we are a family business, committed to customer service and satisfaction in every aspect. We specialize in selling, installing and servicing a complete line of plumbing products for the residential remodelling and new home market. We offer excellent brand names such as Maax, Toto, Franke, Delta, Riobel and many more. We service all areas in Lambton county including Sarnia, Corunna, Petrolia, Brights Grove and Wyoming. We support our products with free advice for the "do-it-yourselfer", as well as offer complete plumbing installation for those who need it. Or, we'll help you find the right renovator for a complete job. If you haven't seen our latest lineup, be sure to come by the showroom. 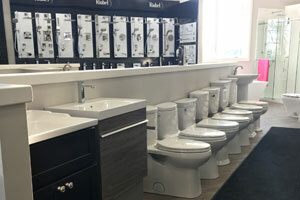 One of the largest selection of showers, tubs, sinks and toilets in the county. 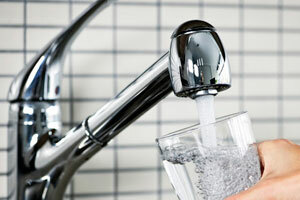 We are now offering water testing and treatment options including bacterial iron removal and water softening. Bring in a sample for us to test.